This report is dedicated to all women human rights defenders who struggle daily in defense of their land and communities and in memory of all women defenders who have lost their lives in the struggle for rights and justice. Your activism continues to inspire action and resistance. Criminalization, violence, sexual abuse, intimidation and reprisals against WHRDs who act in defense of their land, territory and the environment have been recorded across the globe. Whilst the extractive industry is only one manifestation of corporate power, its excesses are particularly bold - conflict (often bloody) with affected communities, environmental degradation and stark power imbalance between corporations and local communities that hinders people’s access to justice. Women defending their lands, communities, and the environment face critical risks and gender- specific challenges. Often, WHRDs who confront extractive industries are not only challenging corporate power, but also a deeply rooted patriarchy. As a result, they are targeted both as defenders of rights, land and natural resources, and as women defying gender norms. In these struggles, women experience all the hardships of human rights defenders, but also cope with gender-specific violence and risks. WHRDs describe how factors like gender, race, ethnicity, class, marital status and sexual orientation, shape power relations in their societies, and increase their vulnerability to violence. Common experiences of WHRDs across regions reflect global trends of repression and gender- specific violence perpetrated by corporate, state and non-state actors: corporations and private companies, state and local authorities, military and police forces, private security services, but at times also women’s own family members, communities and social movements. This report illustrates that violence against WHRDs in the public and private spheres is inter-linked, and always rooted in social, economic and political power relations. States are obliged by national, regional and international human rights standards to respect, protect and fulfill the rights of women human rights defenders and their communities, and provide an enabling environment for the peaceful defense of their lands and territories. If violations occur, states have an obligation to provide victims with access to effective judicial remedies and reparation. States have the obligation to ensure the meaningful participation of people and communities in decision-making concerning their territories, natural resources and environment. Policies need to be developed to eliminate obstacles to the participation of all affected people in decision-making about control of their territories and resources, including barriers based on gender, race or ethnicity, economic status or any other factor. Corporations also have a responsibility to ensure that their engagements with affected communities are conducted in good faith and in compliance with international and regional human rights standards, including the International Covenant on Civil and Political Rights, the United Nations Declaration on the Rights of Indigenous Peoples and voluntary initiatives aimed at clarifying the responsibility of businesses to protect human rights, such as the United Nations Guiding Principles on Business and Human Rights. However, overwhelming data on corporate human rights abuses indicate that current tools are ineffective in holding corporations accountable. The lack of a comprehensive legally binding international instrument to address human rights abuses by transnational corporations coupled with gaps in national legislation and inefficient judicial systems, means that violations committed against communities and WHRDs often go unpunished. Current efforts by the intergovernmental working group established by the United Nations Human Rights Council to elaborate an international legally binding instrument is an important step towards ensuring safer, enabling environments for women to exercise power and decide on the future of their resources, their lands and their communities. However, countries in the Global North have so far expressed limited support for this process. This must change, if human rights are to prevail over corporate interests. Ultimately, the violations against defenders are inseparable from the extractive model of development. Research demonstrates that extractive industries do not deliver the development they promise; instead, they disrupt people’s lands and livelihoods, displace communities, deepen economic, social and gender inequalities, and cause irreversible environmental damage. WHRDs make clear that alternative models of truly sustainable development are possible. These models would allow communities to decide on the future of their territories, to sustain their ways of living, and respect their cultural and spiritual attachments to their land and resources. States and corporations should publically recognize the important and legitimate work of defenders working to defend territories and natural resources, and refrain from attacking, harassing and/or intimidating those who oppose extractive projects. Importantly, in addition to providing a safe, enabling environment for WHRDs, state actors, development agencies, and other stakeholders should also provide political and financial support for community-based visions of development. In the report AWID and the WHRDIC have made several recommendations in order to contribute towards a safe, enabling environments for WHRDs as they peacefully exercise power and define visions of development for themselves and their communities. 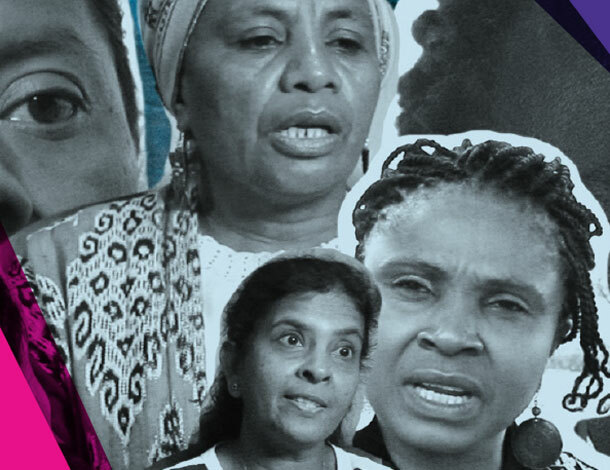 These new resources are part of a participatory research project on “Women Human Rights Defenders confronting extractivism and corporate power” co-led by AWID and Women Human Rights Defenders International Coalition (WHRD-IC). Practical guide: "Weaving resistance through action: Strategies of Women Human Rights Defenders confronting extractive industries"
Policy report: "Women Human Rights Defenders confronting extractive industries: an overview of critical risks and Human Rights obligations"
This report published in April, outlines policy recommendations to end corporate impunity, stop state and non-state violence against WHRDs, and ensure WHRDs can continue their critical work. 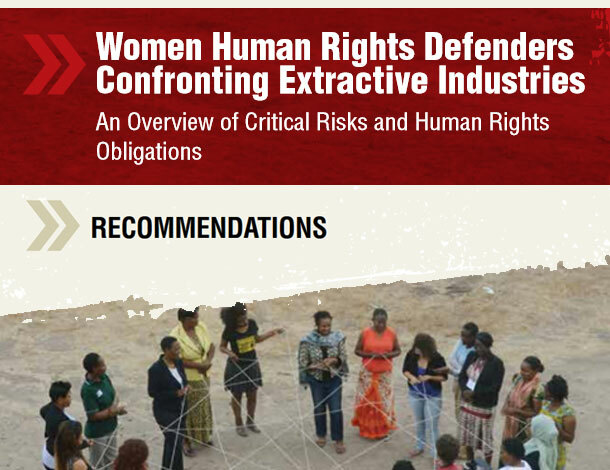 Tell us how you are using the toolbox on WHRDs Confronting Extractivism and Corporate Power. What are Extractive Industries and Why Confront Them? 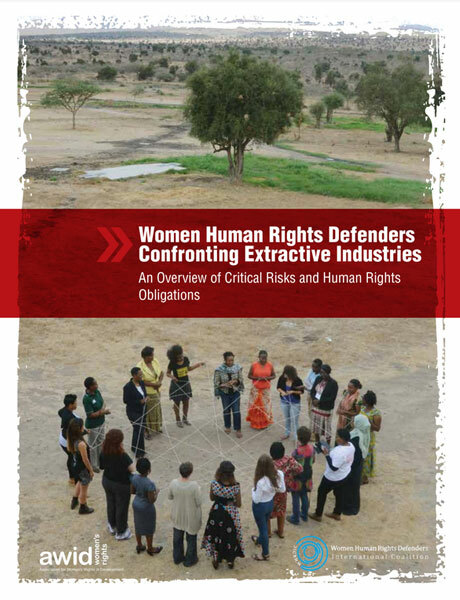 Video: "Defending people and planet: WHRDs confronting extractive industries"